Don’t identify yourself with anyone or anything. Just be a witness. When you witness Life, you remain detached. When you identify with it, you encounter pain, suffering, agony and depression. When you are detached, you can peel off from one Life situation and experience to another. Recently, in my workshop, with managers of a company, the CEO critiqued, fairly aggressively, a well-researched but poorly-delivered presentation by a senior manager. The presenter, a manager with over 20 years of experience, was shattered. He had worked hard on his presentation__which explains why it was so well researched. He had put his heart into it. But when he finally came up in front of his company’s leadership team, he faltered with his delivery. The CEO, a perfectionist, critiqued and transparently told off the manager that he should value the time of the audience and make his points crisply, briefly. The manager in question took several weeks to come out of that moment. He asked me, why was it that he was unable to handle his CEO’s critique? The reason was simple: the manager imagined that he was the presentation style. He thought that the presentation was his identity from here on in his company. This is not as abstract as it seems. We all have a bit of the manager in us. We identify ourselves with people, objects, situations and wallow in a cesspool of self-pity and bemoan our lack of self-worth! If someone dents your car, you grieve. Because you have come to identify yourself with the car. With an undented car you believe you are different than with a dented car! Someone calls you a jerk in a public place, and you react violently, because you have now identified with the title of a ‘jerk’. You lose someone you love. Indeed it is sad. But to imagine that you cannot live any longer and grieve, means you are identifying yourself with the physical embodiment of that someone. Life is like a movie. You go to watch a movie. You are just a witness. Someone loves, someone loses, someone dies, someone wins…three hours later (at least in Bollywood! )…you are back in your car. You probably hum a tune or recollect a dialogue from the movie. No attachment. You were just a witness. 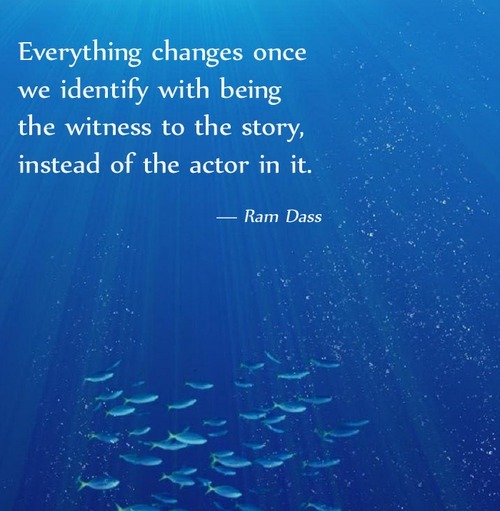 Witness every moment of your Life as a witness. See pain, see love, see lust, see embarrassment, see shame, see jealously, see anger….see everything. See it very well. So that you can see through it. If the manager had seen through his CEO’s critique he would not have been attached to where the comments were made __ in front of everyone __ but would have allowed the message of improvement to reach him. If the lover, who loses her beloved, sees through the event of death, she would know that to be alive means to witness death from near or from far! When you see through the event of the title of ‘jerk’ being hurled at you__unmindful that it is a public place__you will notice that the person shouting at you is angry with something else and is just taking it out on you. Remember: you, me, we are not the car we drive, the job we keep, the position we hold, the spouse we have, the children we rear, the house we live in, the class we travel, the clothes we wear, the phones we use; we are not what we commonly identify with. We are transitory witnesses on a cosmic plane. We happen to be here on this planet currently. We know not where we will be next. But that’s not important. What’s important is that we are here and now __ a mere witness to our own Life and to Life around us! Say NO when you want to say NO! In any situation speak what your heart tells you to. Not what your mind recommends you to. This will ensure that you don’t leave any situation in Life untouched by your perspective and you live your Life on your terms. Happily. Let’s understand this better. We are forever saying no when we must be saying yes. And saying yes when we must be saying no. Take an example. You visit someone. And your host asks for coffee, tea or beverages. You wouldn’t mind a coffee. But you end up saying no. Here’s another one. Your boss asks you if it is fine for you to stay back after work to discuss the upcoming budget meetings. You know you have promised to drive the kids around and buy them ice-cream today. You actually want to say no, but you end up saying yes. Right from these simple, often banal, situations to more important, Life-related choices, we are making uncalled for compromises. This is why many of us are perpetually unhappy. Think about it. A large part of your Life has been spent pleasing others__a father, mother, siblings, in-laws, bosses, children, neighbors. You have become a ‘pleasing slave’__one who is addicted to pleasing, being nice, others at the cost of one’s own happiness. It is an addiction. It is suicidal. Resultantly, you are not living your Life. You are just suffering. Stop this nonsense. Now. If you want to work in way that you feel enriched, fulfilled and productive, say what you are feeling, not what is merely ‘appropriate’ in the given situation or context. We used to work with a client. A large corporate here in India. Their CEO, a wonderful human being, is personally very close to us. We worked with that company as consultants for over a decade. But in those years, we had become part of the furniture in their organization, we had stopped adding value, because we had stopped speaking up, preferring to be “nice” to the CEO who, effectively, is a very poor manager. Finally, some years ago, we quit that engagement. A few weeks ago, the CEO approached us through another common professional source, asking if we would be interested in engaging with the company again. In the period when have not been engaged with the company, the CEO had helped us with many challenges we had been faced with in Life. Yet, despite our deep gratitude to this CEO, we declined to re-engage. The CEO called me. And expressed his displeasure at our refusal. I replied: “I must confess this may be coming across to you as if we are professionally arrogant. But I want you to know Sir that if we don’t operate from our inner core, from joy, we can’t create value in your organization. And your style of working is not compatible with ours. Hence we will not be happy. Being happy is critical to our living. We want to be alive to each moment, not dying, feeling suffocated in an environment such as the one you lead.” I said this with a straight face. It must have been devastating for this CEO perhaps to hear this. But he later sent me a text saying, he appreciated my being honest. Another friend, a world-class entrepreneur, who I had added on my personal Facebook page, started using my wall for promoting his brands. I ‘unfriended’ him on Facebook and sent him a mail saying while I appreciate his genius (he is one), I do not quite accept his treating my personal space as his commercial billboard and also told him that his brands don’t need any of these small-time publicity gimmicks. He wrote back, after several weeks of silence, how much he valued my views. So, when you speak up and share what your heart is experiencing, you not only enhance your happiness quotient, you also create value in your circle of influence. Now choose: do you want to be in a constant ‘pleasing-mode’ and so be always unhappy or do you want to live happily forever? It’s a no-brainer! 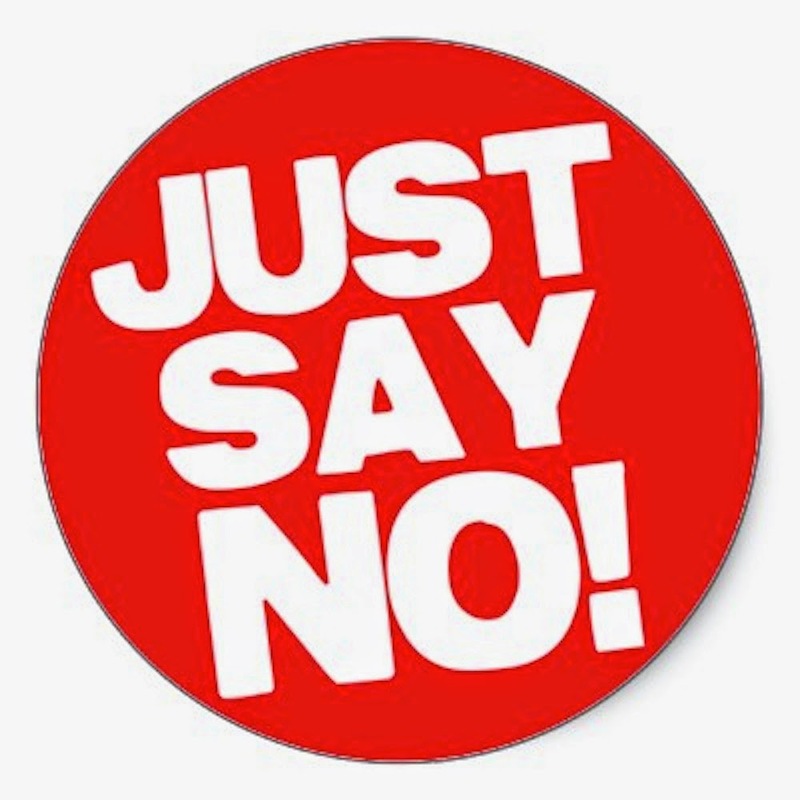 Author AVIS ViswanathanPosted on April 29, 2015 March 14, 2016 Categories Art of Living, CEO, Happiness, Inner Peace, Intelligent Living, No, Pleasing Slave, Pleasing-Mode, Yes1 Comment on Say NO when you want to say NO! 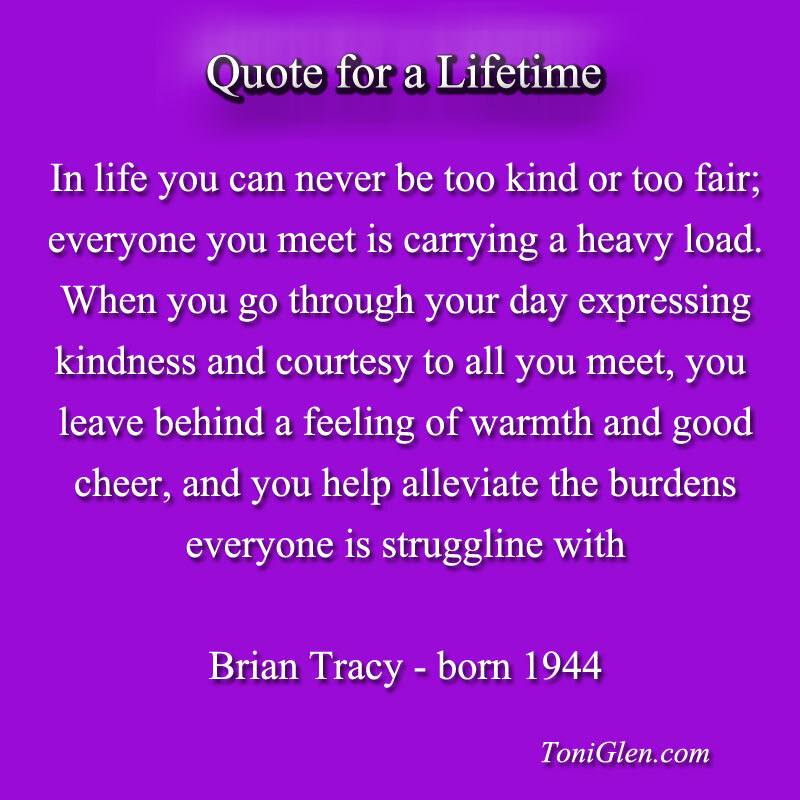 Our Life’s stories and experiences may be different. But they often lead us to similar learnings. And through them we understand the beauty and magic of being compassionate, trusting and human. Some time ago, someone to whom I owed some money called me up. He, a renowned scientist and the CEO of a large cutting-edge biotech company, politely enquired when I could return the money I owed him. I told him in detail about my challenged circumstances and prayed for more time. He immediately enquired about the latest Programs on offer from my Firm and signed us up, over the phone, to deliver two workshops for his team. He said while my repayment to him could wait, I could do well to earn some badly-needed income creating value for and on his team. He said he wanted my “influence” on his team! I was overwhelmed. It was the first time in several months that some work had come by. I was humbled too because rightfully, I was the one who had to be repaying this gentleman because his money was long overdue. But here he was, yet again, stepping up to help me, my family and my beleaguered Firm. We completed the workshops and his team members, I learned, benefited greatly from the experience. Although it was agreed that we would be paid in advance for both workshops, it wasn’t until much after the second workshop that we were paid for it. I did not see any point in making this an issue, although as a Firm we always insist on being paid fully in advance, because of both the circumstances and our relationship with the CEO. I was speechless. And was immediately reminded of a story I had read in Learning from the Heartby Daniel Gottlieb. An old Hasidic rabbi asked his pupils how to tell when night ended and the morning began (which is the time for holy prayers). “Is it when you see an animal in the distance and say whether it is a sheep or a dog?” asked one pupil. “Is it when you can look at a tree and say whether it is a fig tree or a pear tree?” asked another. “No,” said the rabbi again. After trying a few more times, the pupils pleaded with the rabbi to tell them the answer. What I learned__and we can all learn__from the CEO is a lesson in magnanimity alright. But I also learned compassion. I understood that it is important to see someone’s need as always bigger than our want. There is so much darkness in our lives because we simply have stopped connecting with each other as humans. To be human is a gift. Let’s celebrate it by remaining compassionate, trusting and, above all, human!